The Government is to launch a public awareness campaign on false self-employment amid concerns about the rise in workers deprived of entitlements by being forced to work as self-employed. Workers categorised as self-employed may lose out on many entitlements under employment legislation, including holiday pay, sick pay, the national minimum wage, redundancy pay, as well as unemployment and other benefits. Employers encouraging this practice make significant savings on PRSI and other employment law provisions, resulting in a reduction in the Social Insurance Fund and potentially lower tax revenues. It is hoped feedback from the public may provide information on the scale and nature of false self-employment in the economy - as well as identifying sectors for further inspection by the Revenue Commissioners, Workplace Relations Commission and the Department of Employment Affairs and Social Protection. The campaign was recommended following the "Report on Intermediary Structures and Self-Employment Arrangements" published last January. It aims to inform the public about the role of the Department of Employment Affairs and Social Protection in determining employment status, which may result in workers securing additional entitlements. Information will be delivered in English plus a further eight languages. The department made 877 determinations on employment status last year. While last January's report found no evidence that there had been any significant change in the level of self-employment in the economy, concerns have been raised that false self-employment is problematic in a number of sectors. 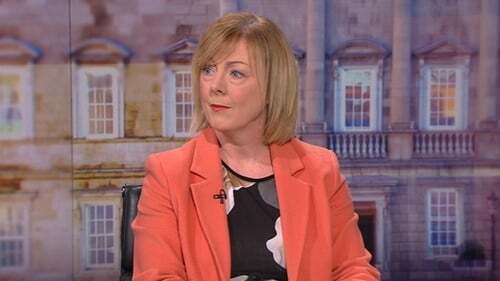 Minister for Employment Affairs and Social Protection Regina Doherty said that while the Government recognises that the vast majority of self-employment is legitimate and an important contributor to the Irish economy, cases of false employment do arise. She noted that the practice can result in responsible businesses who pay their staff legitimately being undercut and suffering a competitive disadvantage. The Minister said reducing false self-employment would benefit workers, businesses and the exchequer, and pledged that her Department, the Workplace Relations Commission and the Revenue Commissioners would tackle the problem in a joined up way. The campaign will cost just under €170,000. Workers concerned about their employment status or potential false self-employment can find information at www.welfare.ie/employmentstatus.